Dr. Plasker’s Breakthrough Solution for Living Your Best Life – Every Day of Your Life! 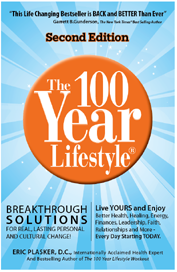 Enjoy abundant health, passion, and prosperity every day for 100 years and beyond! By Dr. Eric Plasker. Includes: 6 CDs, Bonus CD, Workbook and Booklet.